Man-made shapes do not exist in the natural environment. The human eye picks up on straight lines, sharp corners and very flat surfaces easily and identifies them quickly as out of place. Application of patterns with EC Paints can break up the characteristic shape of a weapon or other equipment. Black shiny objects do not exist in nature. 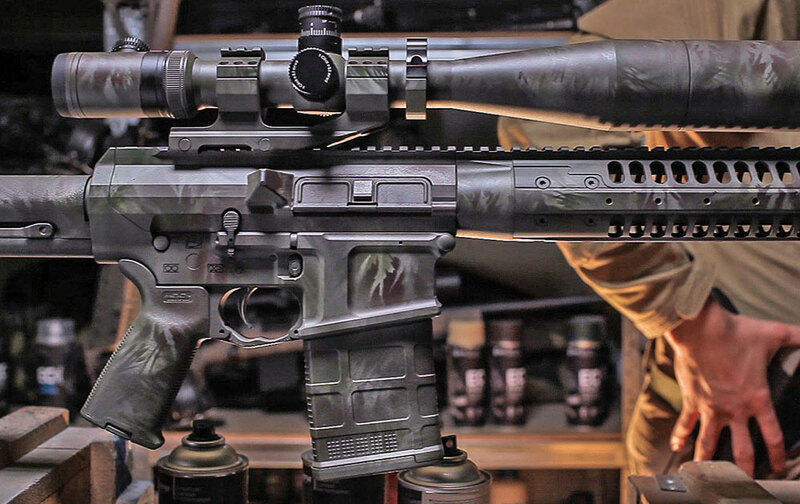 EC Paint range consists of eight colors selected to enable concealment in any area of operation, regardless of field conditions. The paint creates a matt finish which eliminates risk of specular reflection. 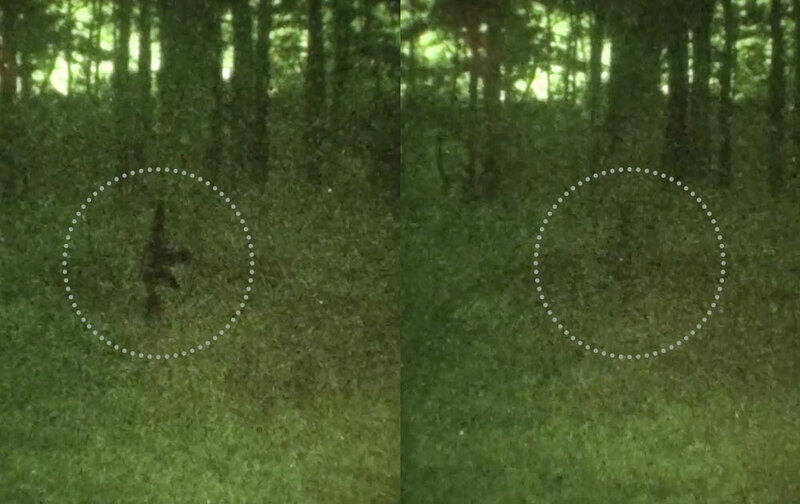 NIR adaptability is a method of preventing detection by Night Vision devices. These devices detect infrared reflectance variances. 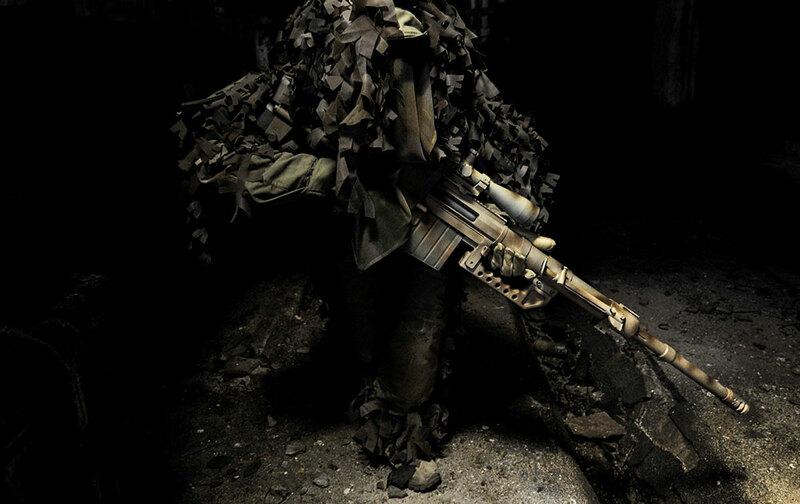 EC Paints are designed to provide reflective levels which appear at a similar level to the surrounding terrain, thus making them more difficult to detect with NVG. Black steel objects like assault rifles experience very high rates of heat absorption from the sun. A hot rifle is not only uncomfortable to handle but also may affect shooting precision. EC Paint SAND color reduces heat absorption thereby enhancing user comfort and precision in desert conditions, while reducing the signature. 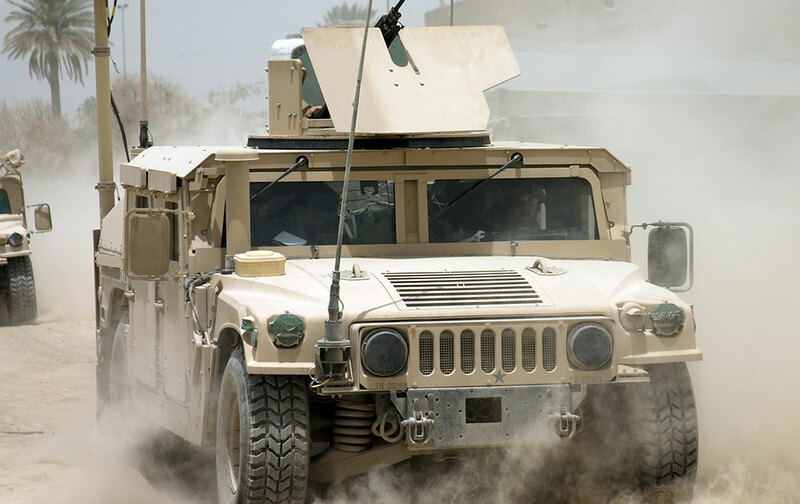 The visual signature of tactical vehicles behaves similarly to that of assault rifles. EC Paint technology therefore works equally well for vehicle application. For large objects, EC Paints is available in 5L containers for application with pneumatic paint guns. 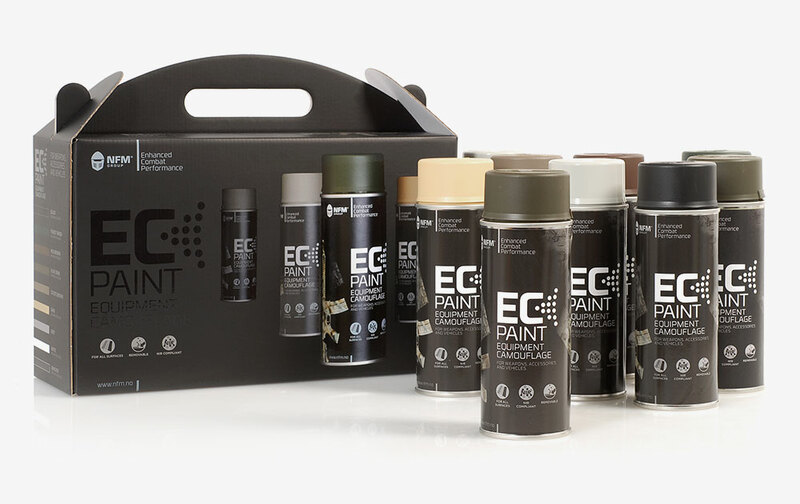 EC Paint is available in individual cans or as a prepacked set ready for your mission. As a customer, one can define a set of required colors to be directly distributed to the units. It can be delivered in boxes of 4, 6 or 9pcs.